In the worst Cosby Show-related crime since Tempestt Bledsoe hunted hobos for sport, a woman in Provo, Utah, who was caught shoplifting told arresting officers that she played Rudy Huxtable, hoping to take advantage of the lingering goodwill for that sitcom that enables society to turn a blind eye to all of its cast members’ most heinous acts since. 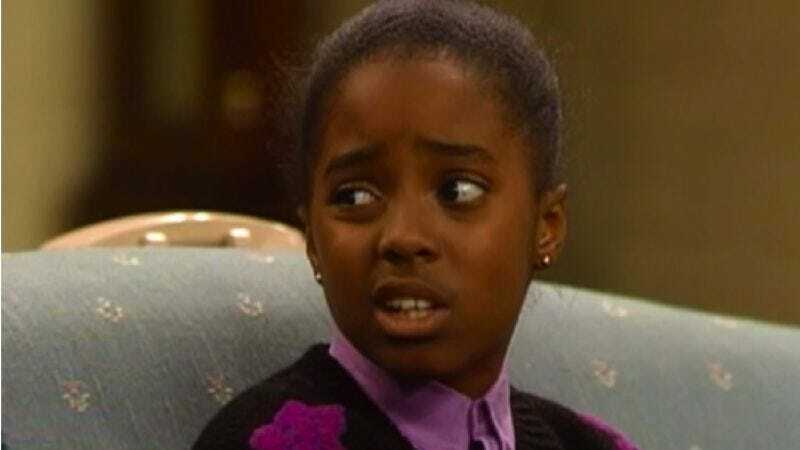 Unfortunately, The Cosby Show is very famous, and so the authorities were able to remember that, no, Keisha Knight Pulliam—and not the suspect, Leah Efay Davis—actually played Rudy, and that Pulliam’s m.o. typically involves elaborate arson schemes, not petty theft. Davis reportedly made a last-ditch attempt to escape prosecution by claiming that she also owned the mall that housed the J.C. Penney’s where she’d absconded with around $600 in stolen goods, but might have escaped prosecution had she only chosen a more obscure sitcom star on the sliding scale of what they can now get away with—say, telling them that she played Cherie on Punky Brewster, which would entitle her to shoplifting as well as the occasional act of vandalism.